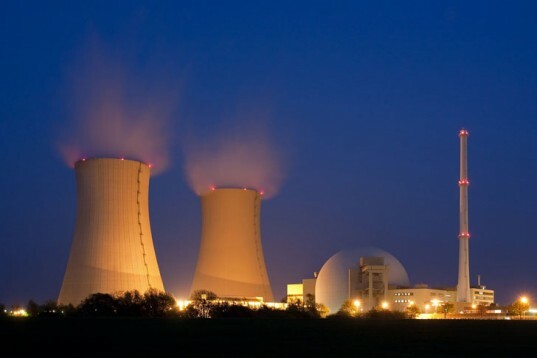 Nigerians clamouring for diversified sources of energy to resolve the nation?s perennial electricity crisis will have to wait till 2026 for first megawatts of electricity from the first nuclear power plant to be constructed by National Atomic Energy Commission. Permanent Secretary in the Ministry of Power, Ambassador Godknows Igali, and Chairman/CEO of NAEC, Dr. Erepamo Osaisai, confirmed this in an interview with journalists at the on-going Integrated Nuclear Infrastructure Review Mission in Nigeria. According to him, the first nuclear power plant will have the capacity to produce 1,000MW. This, he added, would be expanded to 4,000MW within 10 years of the establishment of the first nuclear power plant. Osaisai said the need for safety and security of power infrastructure cannot be sacrificed at the altar of expediency even though the nation requires urgent solution to its power crisis. He said, ?Planning and implementing a nuclear power programme takes time. When you consider the national situation where we need significant amount of generation, the timeframe for implementing a nuclear power programme might appear like eternity but the key issue is that implementing a nuclear power programme comes with a large number of obligations. ?Nigeria is committed to ensuring that we are able to maintain a strict regime of safety, security and safeguard. That requires an emplacement of key infrastructure. It takes time to develop it on the order of about 10 to 15 years even for very developed countries. ?So it may appear we have been doing it for a long time but we have just been meticulous, wanting to ensure that we are able to do it right. That is why it appears to be taking time but it has to be done right. ?